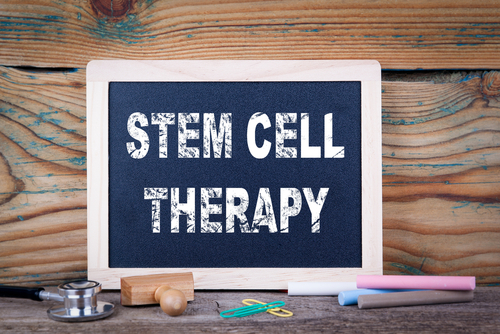 Fat-derived stem cells are a safe and feasible treatment strategy for patients with secondary progressive multiple sclerosis, results from a Phase 1/2 clinical trial show. Findings were published in the study, “Adipose-derived mesenchymal stem cells (AdMSC) for the treatment of secondary-progressive multiple sclerosis: A triple blinded, placebo controlled, randomized phase I/II safety and feasibility study,” in the journal PLOS One. Relapsing-remitting multiple sclerosis (RRMS) and secondary progressive MS (SPMS) are the two main subtypes of multiple sclerosis (MS). While significant progress has been made in the treatment of RRMS, very few treatments have shown promise for SPMS. Because SPMS likely results from neurodegeneration, researchers have become interested in exploring stem cells as a potential treatment. Stem cells can help repair the central nervous system to some extent, which has been demonstrated in animal models of MS. Thus, stem cells have the potential to correct some level of neurodegeneration. Adipose (fat)–derived stem cells (AdMSCs) are advantageous because they can be acquired through a minimally invasive procedure called a lipectomy — a surgical procedure to remove body fat. The use of AdMSCs, however, has not been thoroughly explored in patients with SPMS. Therefore, researchers set out to determine the safety and feasibility of treating SPMS patients with two different doses of AdMSCs in a Phase 1/2 clinical trial (NCT01056471). Researchers first obtained the AdMSCs from consenting patients through a lipectomy. Then, 30 of these patients were randomized to receive either a single infusion of placebo, low-dose AdMSCs (1×106cells/kg), or high-dose ADMSCs (4×106cells/kg), and followed for 12 months. In total, 11 patients were given placebo, 10 were given low-dose, and nine were given high-dose AdMSCs. During the treatment time period, only one serious adverse event was observed in the AdMSC treatment group — one patient developed a urinary infection, which was not considered related to the treatment. There were no other safety issues. Measures of treatment effectiveness did not show a conclusive effect, likely due to the fact that the study was not powered — or designed — to demonstrate such an effect. Based on the results, the team concluded that AdMSC infusion is safe and feasible for SPMS patients. “In this phase 1/2 proof-of-concept trial, intravenous infusion of AdMSCs was safe over the 12-month follow-up period. The pattern of AEs [adverse events] reported was one that would be expected from the underlying disease. No related serious AEs occurred and laboratory tests, vital signs, and spirometry [test assessing lung function] did not identify any safety issues,” the researchers wrote. “Although the study was not powered to determine the efficacy, some hint of efficacy was observed by the use of MRI and evoked potentials. Larger studies would be needed to investigate the potential therapeutic benefit of the technique,” they said.